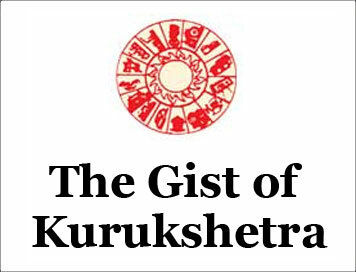 (The Gist of Kurukshetra) National dissemination workshop on Anaemia Mukt Bharat and Home-Based Child Care [NOVEMBER-2018] | IAS EXAM PORTAL - India's Largest Community for UPSC Exam Aspirants. The two-National Dissemination Workshop on Anaemia Mukt Bharat and Home-Based Young Child Care (HBYC) was inaugurated by MoS of MoHFW. The objective of this workshop was to orient the state program managers for rolling out these interventions. The Anemia Mukt Bharat-intensified Iron-plus initiative aims to strengthen the existing mechanisms and foster newer strategies for tackling anemia, focused on six target beneficiary groups , through six interventions and six institutional mechanisms, to achieve the envisaged target under the POSHAN Abhiyan. A Toolkit was also released for Anaemia Mukt Bharat & Home-Based care for Young Child programmes. The strategy focuses on testing & treatment of anaemia in school going adolescents & pregnant women using newer technologies, establishing institutional mechanisms for advanced research in anaemia, and a comprehensive communication strategy including mass/mid media communication material. A web-portal anemiamuktbharat.info has also been developed as part of the monitoring mechanism of the strategy, which would provide survey data on anemia across beneficiary groups, target prevalence of anaemia as per POSHAN abhiyan and quarterly HMIS based reporting of programme implementation coverage upto the district level. The programme is envisaged to be implemented as an extension to the existing HBNC programme and will be rolled out in a phased manner. In the first phase the programme will be rolled out in all the identified Aspirational Districts. In the second phase, all the remaining districts under Poshan Abhiyan will be included and in the third phase programme this shall be expanded to cover all the districts in the country. Under the HBYC programme, five additional home visits by ASHAs are proposed after the visit on 42nd day, as in the existing HBNC programme. Thus, the contact of new-born with the health system is extended till 2nd year of birth. India has taken huge strides in reducing Maternal Mortality ratio and achieving MDGs and these initiatives will address the burden of anaemia and under-nutrition among children in the country. With an average prevalence of 40 percent across all age group, anaemia still is a challenge which needs attention. The Home-based Care of Young Child programme has an objective to reduce child mortality and morbidity by improving nutrition status, growth and early childhood development of young children through structured and focused home visits by ASHAs with the support of Anganwadi workers. ASHA will ensure exclusive breastfeeding till 6 months of life, adequate complementary feeding after 6 months, Iron and Folic Acid supplementation, full immunization of children, regular growth monitoring, appropriate use of ORS, appropriate hand washing practices and age appropriate playing and communication for children during each home visit. Dedicated skill building, additional incentives, provision of additional commodities and additional home visits for SNCU discharged & sick-newborns are also included in the programme.